Welcome to the 2015 Buzzard Thread!!! The buzzard was chosen Bird of 2015 in Estonia. 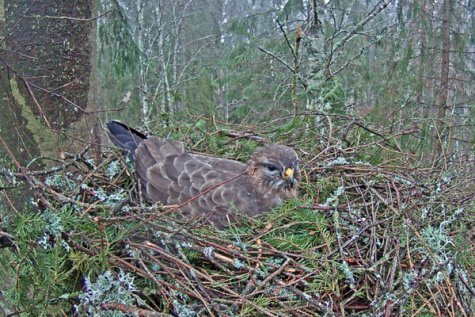 Two cameras were installed in the nests of buzzards, both located in the region of Tartu and is almost next to each other. So happy about this coverage! Thanks for providing the thread SGB! Speaking of buzzards, or vultures as I like to call them, we have raised and released many of them at bird rehab. Today a beautiful turkey vulture flew in close to the house several times. He was attracted to the recycled food from yesterdays songbirds. It is a mixture of moistened enriched puppy chow, fruit and meal worms. I think Liz also added some fat from their dinner last night. Well the TV must have been smelling that yummy concoction, but he never did alight on the deck rail to taste it. Probably waiting for Chris to feed him a dead rodent when he feeds the raptors later in the afternoon. 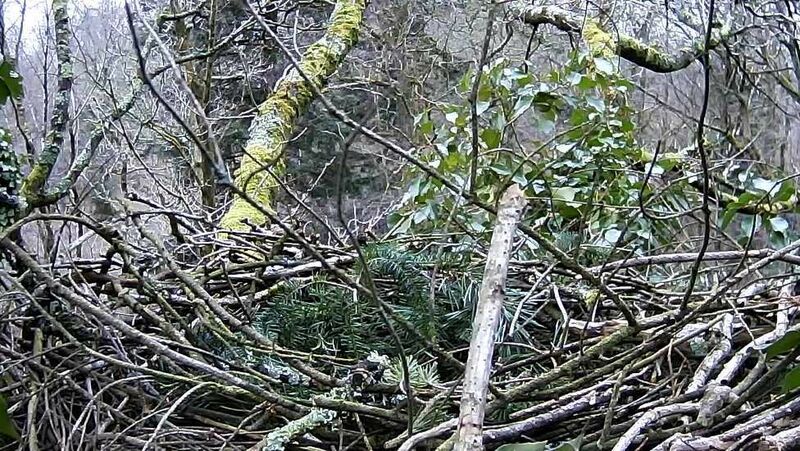 This year there is an HD camera on a Common Buzzard nest. The most widespread bird of prey. Colour varies from quite pale to dark brown. Breed from March to May. They lay 2 to 4 eggs. Incubation is 33 to 38 days. I've really got to find some time to visit these cams!! !